Copic Markers are a professional artist’s staple and set quite a high bar in terms of how a marker performs. I personally don’t have the skill to utilize them effectively, but I have seen the wondrous products of many who swear by them. Getting to that level takes practice, and while one can learn with other markers, it’s never too soon to get attuned to the markers you intend to be using for a long time. 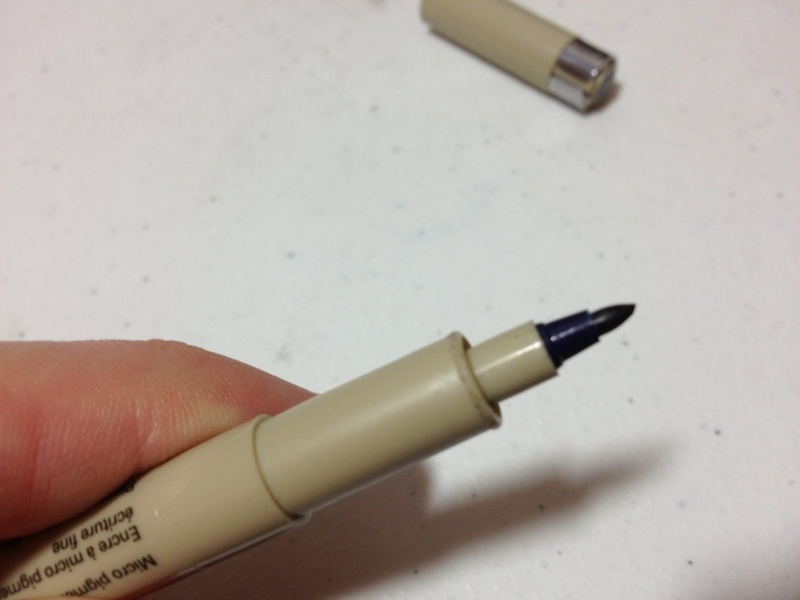 That’s where the high price-point of Copic markers really starts to become a problem. To build up a library of the markers would cost hundreds of dollars, and when starting out one doesn’t know what tints and shades they need or prefer (the markers are refillable, thankfully, but that doesn’t change the upfront cost, just the upkeep). There is a budget option, the Copic Ciao, which at $4 are a dollar and change less expensive than their bigger brothers, but that price is still up there. Are they worth it? The markers are roughly cylindrical with a ⅜” diameter. There is the smallest of bulges in the center for the purposes (I assume) of aiding grip and disincentivising rolling. On either end there is an inch-and-a-quarter long color-coded cap with a quarter-inch step down on the end that allows either cap to be posted on the other. Near the base of each of these caps there is a small nub that makes it easier to remove and also helps prevent the marker from rolling. Each tip has a butte-esque taper leading from the body to the felt “brush”. The chisel tip is molded in the same plastic as the body, while the brush tip (the one you’ll most often be using) is a darker plastic that extends to an easily visible band underneath the cap. Which ends are which, what color the ink is (both descriptive and in code), and every other needed piece of information is nicely printed on the sides, and it appears underneath a shiny finish to prevent wearing with use (after all, these markers can be refilled). I’m not an expert when it comes to actually using these (or any) markers, but a quick search online of what people are able to create speaks for itself. What I can say is that the tips are well-made and hard-wearing (and they’re also replaceable, decreasing future expense). The chisel is sturdy and unyielding while the brush easily bends to create lines ranging from 1/32 to ¼ inch. The ink is alcohol-based and goes right through absorbent papers, feathering and drying quite quickly. It’ll still bleed through fairly heavy and high quality papers, but it doesn’t dry as quickly, allowing it to be blended more easily either with other colors or the colorless blender (which, as far as I can tell, just contains alcohol). Once down, the ink is essentially impervious to water and alcohol-based attacks, but they are sensitive to sunlight (as per their website) and, being solvent-based, aren’t the most “archival quality” things in the world. In my opinion, even forgoing the financial difference, the size and shape of these smaller Ciao markers is just more comfortable and easier to use. And they allow an artist to build up a collection of various colors in a much more consolidated space if they are willing to lose the color labels on the end. But they’re still expensive, and getting them won’t make you a better artist or a blending magician (as I can attest to). If you’re unsure if you want them or can utilize them I’d recommend starting out with only a few (greys would work best in this scenario) and getting more as you need them or improve your skills (the sets are quite expensive, especially if you end up not using them). But the bodies will last forever and the refills/replacement(s) (felt tips) are fairly easily available and extend the life of the marker significantly. 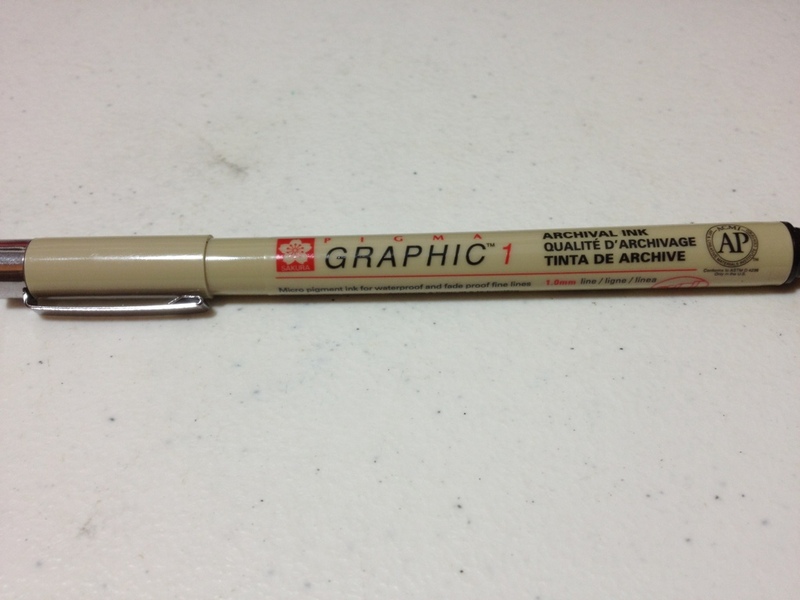 This is a fine (and for some superior) version of a marker that is trusted by professional illustrators around the world. There are a lot of technical pens out there, and I’ve only looked at a few. 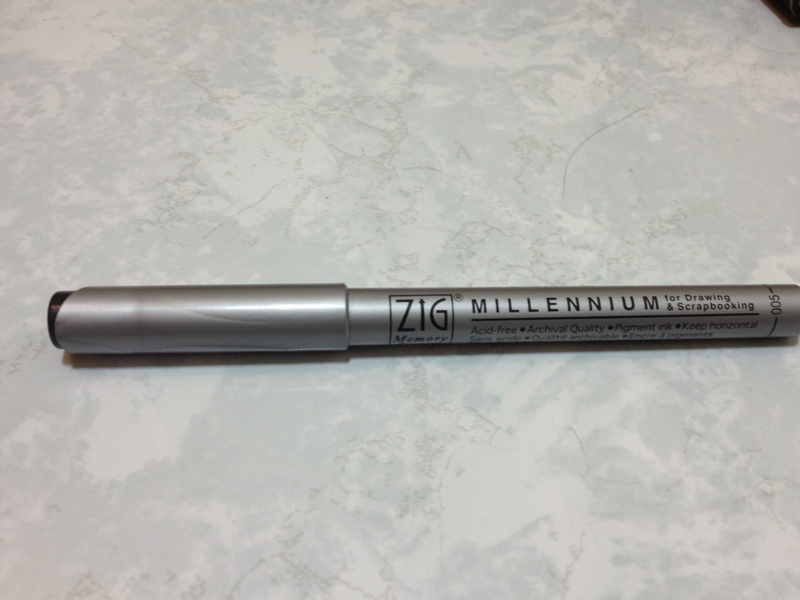 Today I’m going to try and remedy that a little bit by doing a review of the Zig Millennium technical pen, specifically the black 005 version. The pen body is a bit odd. The bottom is a small, rounded piece of plastic. The barrel is silver and covered in writing. All necessary information is printed in several languages. The cap is nothing really special either: the top is flat with the tip size on what looks like a black plastic cutaway; the clip is simple, with a rounded end similar to a Pilot Precise or Uni-ball Vision. Interestingly enough, it says to keep the pen horizontal, but gives one a pocket clip. It’s the section of the pen that’s strange: it’s very small and nubby, it rounds off quite quickly and the ridges used to keep the cap in place are quite noticeable. 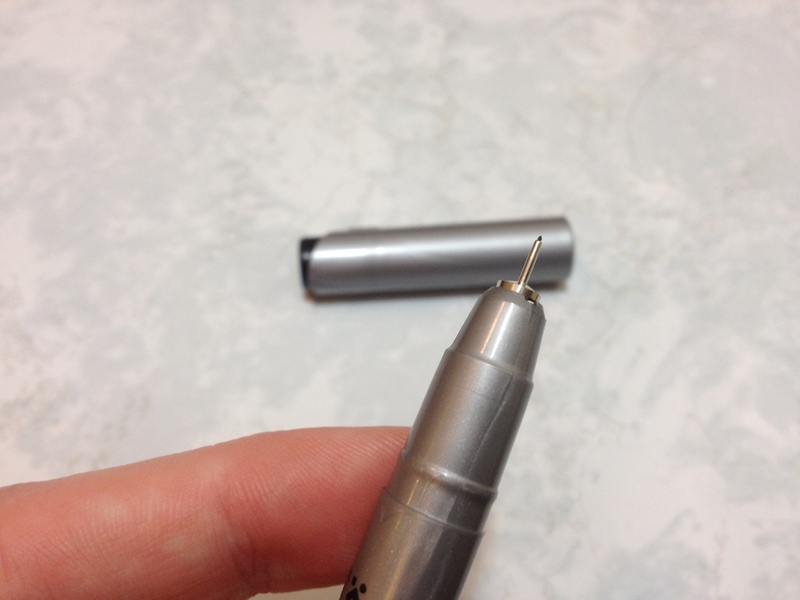 It terminates rather abruptly into a metal end that leads to the tip. I’m not sure if one is supposed to hold the slightly uncomfortable section when writing or move back on the pen and place the fingers over the written portions of the pen, which I can feel the ink is raised up on, and will likely rub off quickly. On to the tip. It produces a very thin line, around the same width, but perhaps a bit wider than other brands of the same size, though that may just be the paper being used. The ink is archival quality (haven’t tested) and waterproof (have tested, is quite!) though that is to be expected from a pigmented ink. The black is quite black, and a cool black, which is nice, as many blacks tend to be warm. Writing is smooth and there are no skips or bumps with a good tip, though it will wear out after some time. Overall it’s a good little pen, and quite comparable to the other technical pens in terms of both quality and price. I can’t speak for whether or not the rest of the line is wider than its counterparts from other brands, but that might be something to consider when purchasing. Otherwise, I’d say it’s almost entirely an æsthetic and comfort choice for the user. There are always new things to be done with old inventions. They could just be a novelty, or improve the invention quite a bit. 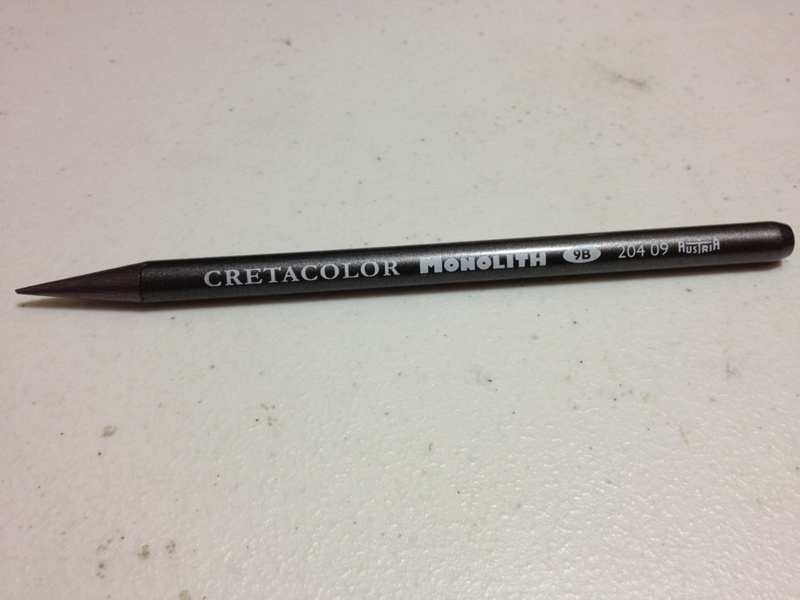 And when searching around for pencils, one may come across the all-graphite pencils that have been around. Today I’ll be looking at one type of these, the Cretacolor Monolith. Well, the body of that pencil is nothing to talk about, really. It is all graphite with a thin finish and white text giving standard supply information. There is also a bar code. Really, there is nothing to talk about as all of the pencil is the same material. It isn’t particularly fair to say that I’m just reviewing the pencil in this case, as the pencils will vary highly based on the grade of graphite used. I believe they all have the same hard graphite and finished outer shell. 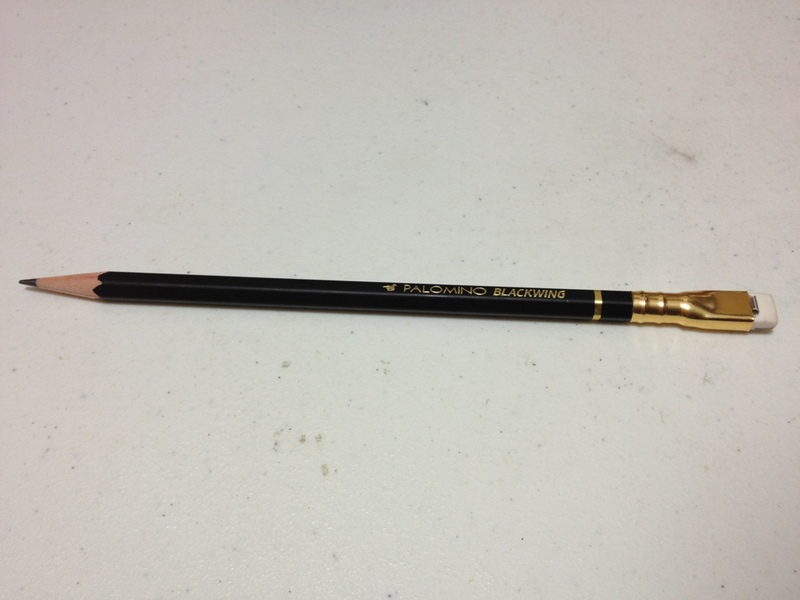 But my particular pencil here is a 9B which is very very soft indeed and means that this particular pencil has trouble keeping a point and wears down very quickly. On the other hand, it can be used to create a magnificent array of shading effects. I have had no problems with snapping, even with the points, but I wouldn’t expect to drop it and have a complete pencil come out of it. They do feel quite fragile. 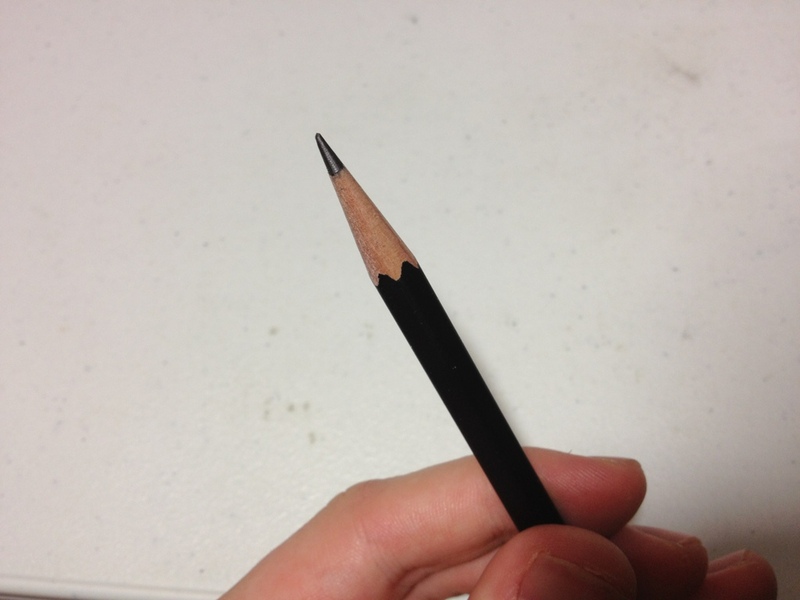 There is also the waste factor from sharpening the pencil, especially when it has been well used, will lose a lot of graphite (I’m not sure what this means when compared to all of the wood lost in standard pencils but I thought it worth mentioning) This can be avoided by sharpening the pencil by using it on its side as a shader. Using the pencil in this way also creates a marking area that is larger than almost any other art supply until one gets to brushes. 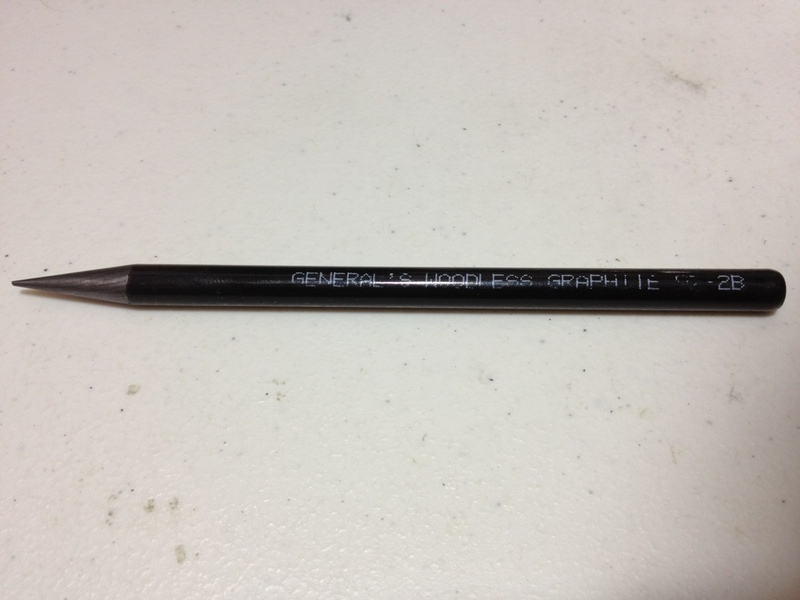 Overall a graphite pencil has its special uses, most notably with coverage, but is also fragile and not entirely unique. It’s like a charcoal stick that is much more well-behaved. So I would say it is worth a shot to try one and see if you like it. 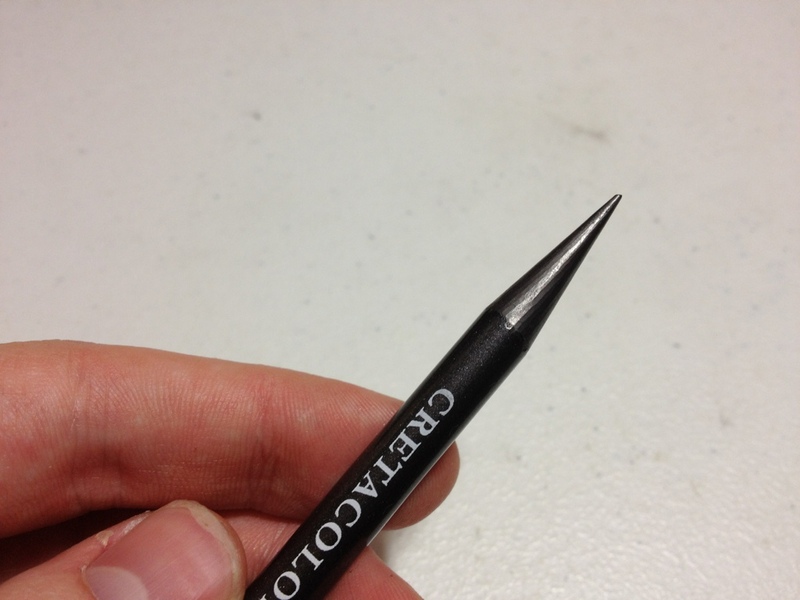 If you’re prone to using only the point of a very sharp pencil this might not be for you. But if you want flexibility in line width and color (especially with a softer pencil), then this might do some amazing things for you. It’s that time again, the time I review Micron colors. The three I have this time are the bright colors: orange, yellow, and fresh green. Starting with the orange: It’s a very bright color, brighter than the fruit of the same name. It’s also a little bit on the light side, looking a bit washed out on the paper. It’s less pleasant than most of the other Micron colors. The pigment does apply evenly and there is no doubt it is orange, though. On to the yellow, which is super saturated. It’s almost illegible on white paper, on off-white it’s not much better, even though it is still rather subdued and looks quite like the yellows presented in nature. In large patches it loses its illegibility and actually looks quite pleasant. It’s probably the closest to a natural yellow you’ll find in a pen. Now the fresh green. This one looks like lime green. It is also super bright, and comes the closest to hurting my eyes of the bunch. 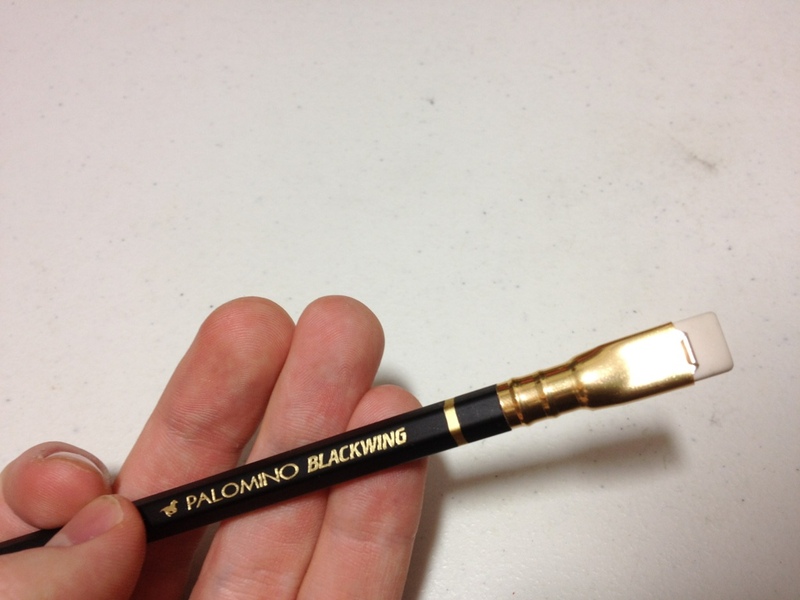 The pigment tends to pool, creating some shading when drawing. This can be both advantageous and disadvantageous depending on the effect you’re going for. It is the most likely to bleed of any of the colors, but with this selection that isn’t too bad. I would also say this is the least realistic and useful of the bunch. Overall, these three bright colors have some issues, but are fairly good. They write well and are entirely servicable, but finding jobs for them seems difficult to me. I’m not sure if they are the must-haves of the other Microns, but they are quite good.